It’s no surprise that corporate social responsibility (CSR), which has been around since at least the 1950s, has taken on a new urgency. But the reason usually given, Millennials, is not completely accurate. While it’s true that 81% of them expect brands to do good, the rest of us aren’t far behind at 73%. As a result, advertising agencies like the one where I work are often tasked with helping companies support social change. To that end, we create videos, set up hashtag campaigns, and funnel donations of cash and products to causes. While these efforts certainly don’t hurt, if we’re being honest, many of them fall squarely into "slacktivist" territory. They raise important issues, but their effect is ephemeral. A conversation. A few thousand tweets. A handful of extra contributions. While none of that hurts, the irony is that no smart, data-driven brand would be content with such an outcome from its own campaigns. When they launch an initiative, they set goals, measure impact, and assess their return on investment (ROI). The same rigor could, of course, apply to CSR. 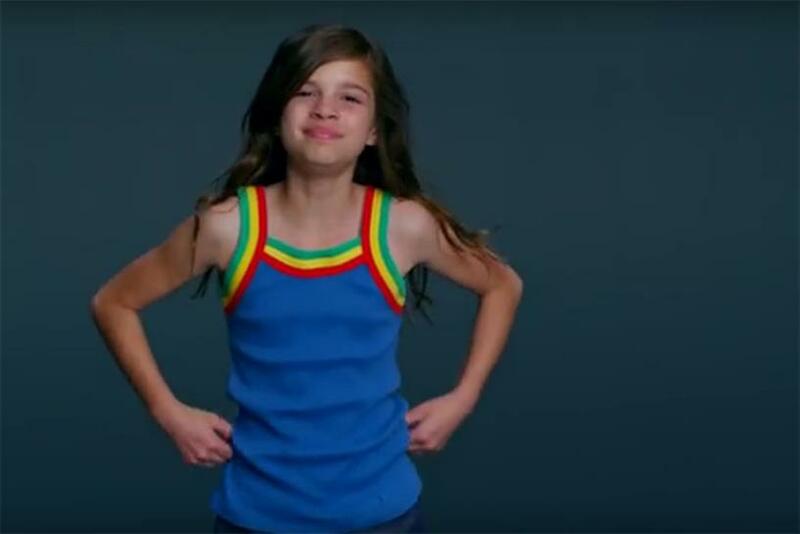 To understand how, let’s look at one of last year’s best advocacy campaigns: "Like a Girl" from the brand Always. Debuting around last year’s Super Bowl, its goal was to have people rethink what "Like a Girl" means. Well, you can measure that. You can gather attitudinal data before and after you run the ad. That way, you can know if you’ve moved the needle and spent your money wisely. Then again, once you invite ROI to the party, another question arises. What is the best way for brands to spend their time and money to promote social change? Ads and social campaigns can be expensive and on their own aren’t always the best way to make a difference. In fact, if you look at social advocacy from an ROI standpoint, I’d argue that some of the biggest opportunities for brands may lie much closer to home. The reason is that most companies have useful expertise that can be shared. If you make health food, you probably understand nutrition better than most of us. Power-tool companies know how to build things. Agricultural companies know about growing food. With a far lower investment, that expertise can make a big difference, if channeled properly. To explain how this can work, I’ll use an example from my own experience. In the digital advertising world, almost all agencies do pro bono work for nonprofits. For some, it even seems to be a strategy, in that they use the freedom that comes with such projects to create campaigns that are likely to win awards. For what it’s worth, I’m against this practice, since it rarely benefits the cause in a lasting way. Instead a few years ago, some people on our team came up with a better idea. Rather than simply promoting an organization, they suggested we donate time and effort to teaching many of them about online promotion. Instead of buying them a fish, we’d get them some good fishing gear. This turned out to be a good fit. While the purpose of nonprofits is entirely different from the brands we normally serve, they face similar challenges. To get donations, they need to reach the right people at the right time with the right message. In other words, they need to market effectively in digital. And so, our people organized an event and invited a handful of nonprofits to attend. We made presentations, fostered discussions and answered whatever questions attendees had. That first session went so well that we continued the program and now host a new session every other month or so. Each one generally attracts around 30 nonprofits, who find it valuable not only for the training they get, but also for the opportunity to meet and exchange ideas with likeminded people. Of course, not every brand has as neat and linear an opportunity as ours. And not all opportunities would be so low cost/high return. For example, a tool company that decided to train new Habitat for Humanity volunteers would likely have to invest quite a bit more. And some brands would doubtless find their own expertise a lot harder to translate. But my guess is that if they think hard enough, they’ll find a way. And so, it may be time to rethink at least part of our approach to social advocacy. It’s always great to use your brand’s megaphone to highlight a good cause. Sometimes, that can be a game changer for the right issue. However, the bigger and more rewarding opportunity may lie in sharing your expertise. That way, your favorite organization may not get a huge hit of publicity initially, but it will benefit long into the future. Shane Atchison is CEO of Possible.